Why does the fun have to stop here? Swan decided to open its primary school eight years ago (2008) , as there was a huge need for private school education at an affordable price. 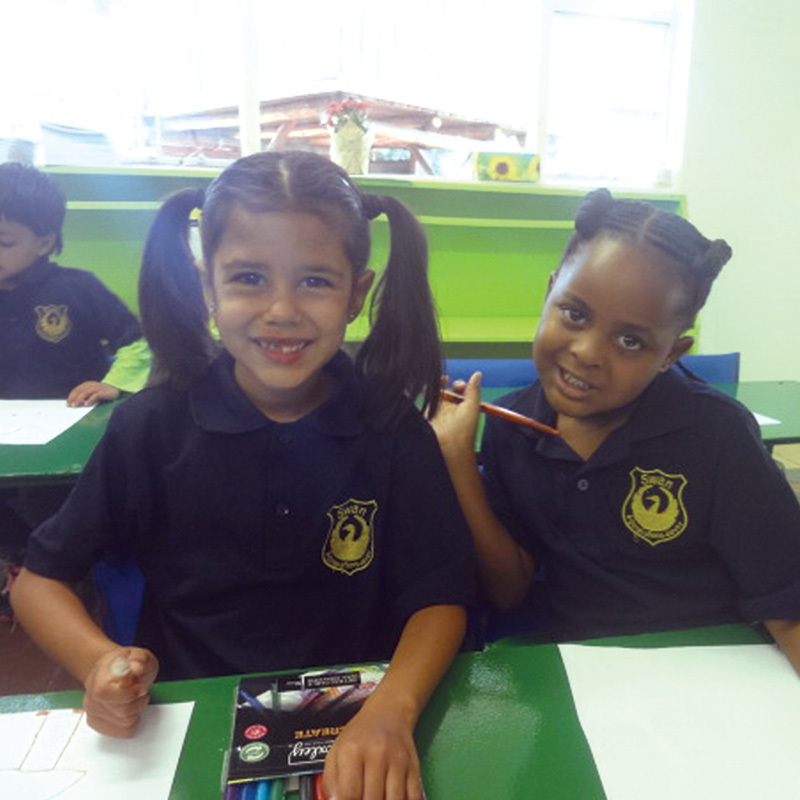 Our aim is to provide a happy, loving and friendly environment for young learners to grow and develop. No more than 18 children per class. 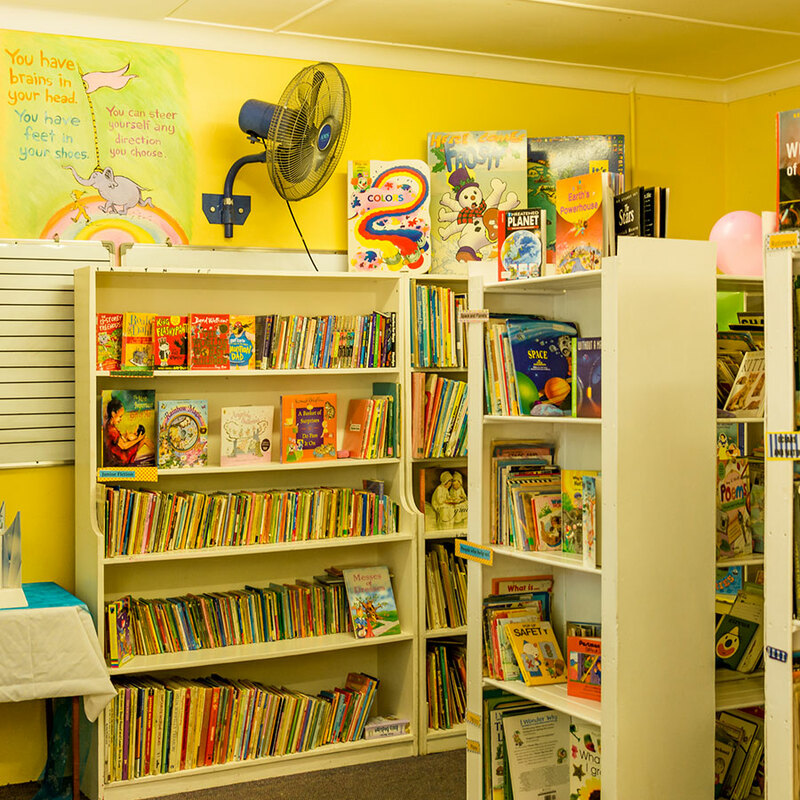 We provide safe aftercare facilities and assisted homework. 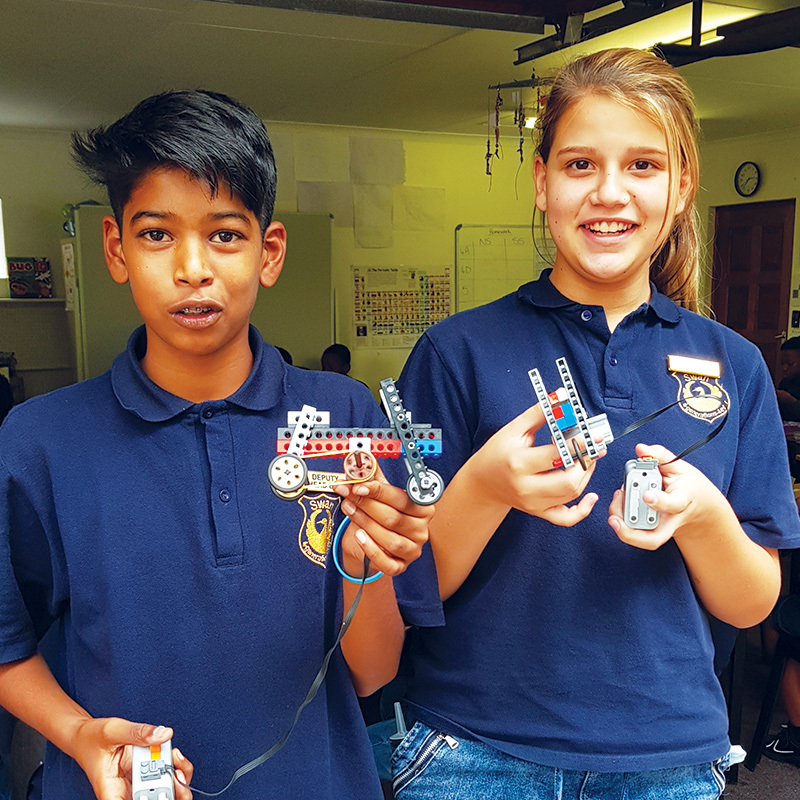 Our curriculum is a combination of GDE and the British schooling system. We do educational computer stimulation with a wide range of programs that promote reading and math’s skills. We practice a technique called Braingym that stimulates cognition skills and aids in concentration. 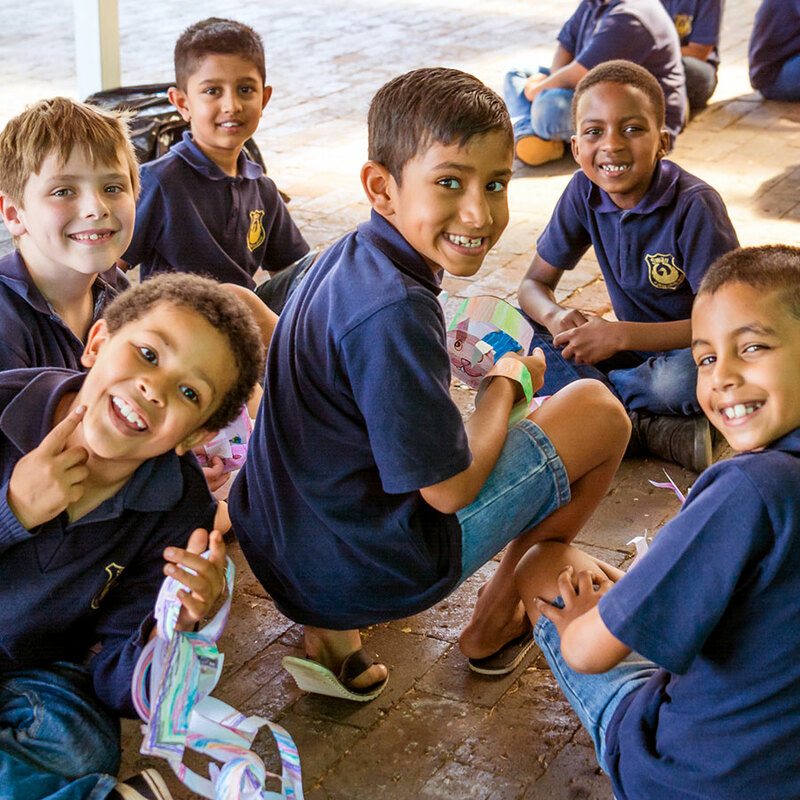 We learn a range of different languages including English, Afrikaans, French, Zulu, German and Spanish. In celebration of 2010. Drama and music play an important role. Safety in today’s day and age is very important, thus no child is allowed to leave school premises unless accompanied by parents. All teachers highly qualified and registered with SACE- South African Council for Educators. Denim and blue golf shirt. School starts at 8am but three teachers are on duty from 7am for the early birds. Also makes use of Australian and UK curriculum. Secure aftercare until 5:30pm and homework supervision. Sports, gardening, drama and science. New interactive whiteboard (smart board) in the new media centre. School is important but life is more important! We concentrate on developing all 8 intelligences to create well rounded children. Remember that every child is talented in some area and it is the combined responsibility of school and parents to recognize that strength and promote it into the development of a healthy- self concept and a productive member of the community. School is important but life is more important. Raising confident and well-rounded children. You are more than welcome to come view our school!